There’s always one…. A politician I know once said there’s always one difficult heckler in a crowd. A teacher friend claims there’s always one disruptive kid in the class. And now I wonder if every writer has one problem manuscript, too…. It’s the one that somehow never seems to be quite right, somehow. You know it has promise and can’t bring yourself to dump it, but no amount of rewriting, cutting, pasting, and analyzing seems to make it fit to land smiling hopefully on an editor’s desk. I have one – it’s a cozy detective mystery and it’s driving me crazy. Other books have been written and published, their glitches ironed out and plot points smoothed. But this book – I can’t even get the title right – it lurks deep in whatever the computer equivalent is of the bottom desk drawer, sulking but never quite forgotten. I’ve rewritten the beginning three times; the ending at least as many times. I’ve tried different time scales, played around with the love interest and the events outline. I’ve asked editors and writers I respect to read it and acted on their recommendations. Still it remains impervious to all my tweaking. 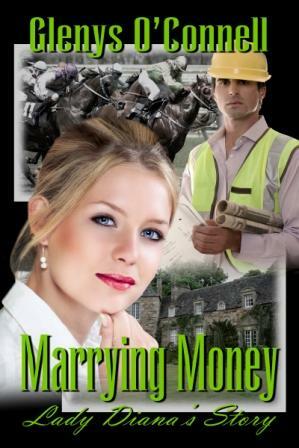 On the bright side, my romantic comedy/chicklit mystery Marrying Money: Lady Diana’s Story is coming out in March from the Red Rose Publishing. It’s the first of a two-book series. The second is called Common Wealth: Sally’s Story. What do you think? Do you have a ‘troubled child manuscript’ that won’t allow itself to be polished and finished? Have you found a solution? Love to hear from you! Oh yes, I have one of those. Make that two! I tackled the book from multiple directions, recast it to (not) fit different genres, went through dozens of painful critiques, rewrote it almost 20 times, including at least 10 beginning changes and 5 ending changes. I KNEW the story was in there but just couldn’t get it out! But one day it all came together. I didn’t need to fuss with it any more. And that’s when the rejections stopped. Now it’s a real book out there in the real world. The second novel is actually the first novel. I wrote it when very young (teens) and also took it through many configurations trying to get it right. I finally parked it in the drawer when almost 30, when the other novel took over my interest. Now I’m wondering whether to go back to it or enjoy starting something fresh. I still don’t know what to do with it . . . and without the ferocious passion that kept me going on the now-published one, I don’t think any efforts made will be worth it. Common wisdom says that some books just aren’t meant to be finished or published. That’s probably true. But if I believed that wholeheartedly, there would be two books moldering in the drawer, not one. Do you have critique partners or trusted readers? My critique partners whip me into shape time after time when I’m stuck in never never land. Brainstorming really works. I think all writers who’ve been writing a while have one of those uncooperative works. If we’re lucky, it’s only one. LOL At present, I’m trying to decide whether it’s worth the time to fix one or whether my time would be better spent moving on to another book. By the way, I want to thank you for help you offered me years ago on a western historical in which the heroine is Irish. You gave me some great info. That book, THE TEXAN’S IRISH BRIDE, has now been through final galleys at The Wild Rose Press and I expect soon to learn it’s release date. I can’t tell you how many I have thrown away! The book sounds great! I’m sure you’ll figure it all out! And Carolyn: loved your quote! It is too soon to know if my #1 and #2 mss are that ms. But for now, I’ve put them aside and sent out #3. Oh, I know *exactly* what you mean!!! You should see my pile of files from “the story that won’t take form and won’t die.” I believe that those can be the seeds of later stores and novels that really are good, but it is so frustrating, isn’t it, when you can’t seem to fix them. I agree that some things we write are not meant to be finished, but I also believe that they shouldn’t be deleted; they can be the basis for something good at another time. Yes! I have one that I love, I’ve invested literally years of research, and agents and editors have loved the premise too, but it just doesn’t work! Arrrghh! What’s wrong with it?